Rina Chand takes great pride in her business and keeping her Nissan NV200 shiny and clean. She’s spent many years patiently waiting – but now she’s finally achieved her dream. For so long having her own business had remained beyond her reach for Rina Chand, who never ever gave up hope of one day being her own boss. Flexible hours has also brought a new freedom, she says. “Now I get to spend a lot of time with my family before I have to start work. Rina’s daughter, Reema, also helps out by lending a hand with the cleaning. The pair have been praised for the high quality of their work. 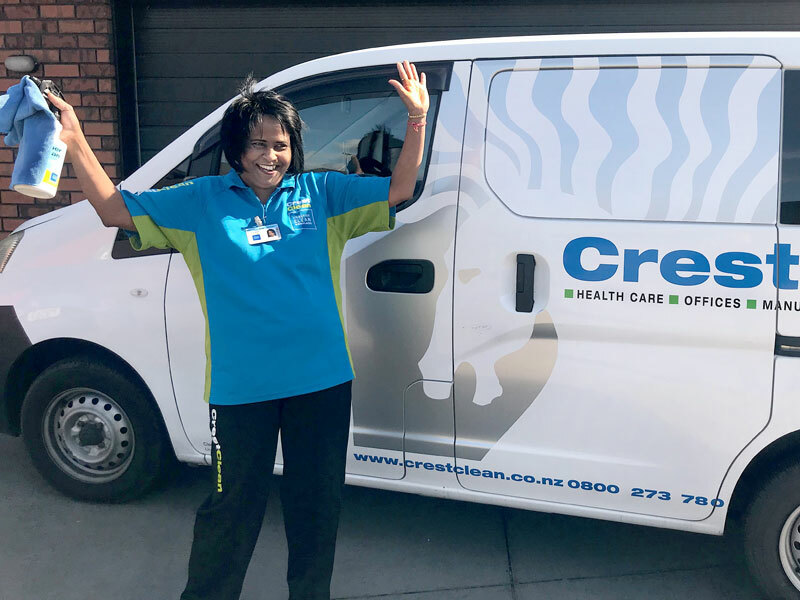 Shareen Raj, CrestClean’s Palmerston North / Kapiti Coast Regional Manager, says they are a great team. “They take a real pride in doing the cleaning and they are an awesome team to work with. Doing the best job possible is rewarding, says Reeema. “We recently had some feedback from a customer who said they were really happy with what we do.